This time next week and I should have landed in Japan (all going well). I’ve got a crazy week ahead of me but hopefully blog posts will keep coming out and I’m looking forward to sharing my journey around Tokyo with you all (either while I’m there or once I’m back depending on internet). As a result, the weekly round up of blog posts will be postponed until the end of April and then it will resume again (I may do an overall April ‘In Case You Missed It’ post once I get back before going back to weekly. In the meantime, here are some great posts from the community last week and as always feel free to give a shout out to a post that you feel deserves some more attention in the comments below. Also, feel free to DM me any links during the week via Twitter as I’m always happy to read good content. Lita Kino gives us a great list of mecha pilots, without any Gundam mentions. Yes, her five favourite mecha pilots that do not come from a Gundam series, and there are some fantastic picks on the list. If you want to celebrate some of the non-Gundam mech stories out there, and the characters who pilot those machines, this is a fantastic post to read. Dirk O’Brien from Weeb the People examines episode 1 of March Comes in Like a Lion (3-Gatsu no Lion) and how tone is established through symbolism and character. Now I would have enjoyed reading this anyway given it is about an anime that really hit me hard, but this is a really nicely thought out post about the episode and is definitely one I recommend reading to anyone who has watched the anime, or anyone who is considering it and might need a bit of a push to see why they should definitely check it out. I absolutely had to include Irina’s great post on Reiko from Natsume Yuujinchou this week as part of the OWL’s March tour. She’s a great character and Irina did a great job discussing the theme of femininity through Reiko. 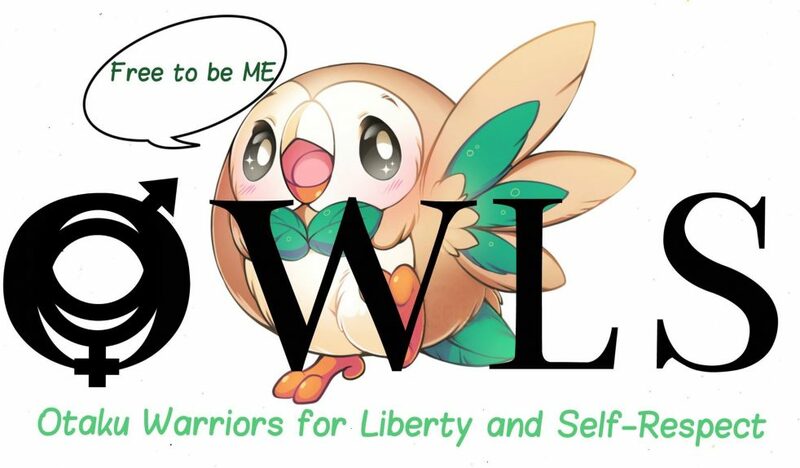 I look forward to Irina’s next Natsume focused OWL’s post. Arthifis followed a post by the lovely Irina on SEO and gave some more advice to bloggers about what it is and what they can do on their blog. It is always great to see bloggers trying to help other bloggers out and sharing their thoughts and processes. I found this a fun read and it made me reflect on a few things so I’m really glad I came across it. Marth reviews My Roommate is a Cat so if you want to check out someone’s full thoughts on it and whether or not it is worth checking out, this post is a quick and fun read. I really feel My Roommate is a Cat flew too consistently under the radar during the Winter 2019 season despite being fairly consistent and relatively entertaining. It also managed a reasonably decent emotional character story by the end so all and all, I’d recommend checking out Marth’s post and then go watch the anime. Never Argue With A Fish has a wonderful review on Digimon Tamers to read that really sells the series strengths while mentioning some minor points that might be of concern. Still, for those who are inclined to check out the anime, this is a lovely review to read that will probably get you hyped for it. Scott from Mechanical Anime Reviews covers Full Metal Panic The Second Raid. Definitely worth checking out this review and if you haven’t watched Full Metal Panic, please do and be sure to keep going on to Second Raid as it is well worth the time. Lynn Sheridan shares their thoughts on Episode 12 of The Promised Neverland. 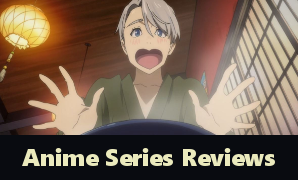 Totally spoiler filled given it is a final episode review but if you’ve been enjoying the anime it is a nice summation of the final episode and what has happened and how we got there. Worth checking out. Over on Phoenix Talks Pop Culture Japan there was an interesting post about Cheer Boys (Cheer Danshi) that explains a bit of the back story behind it and shares their personal connection with the school that the story was based on. It’s a different sort of look at the anime/manga and one that was very pleasant reading. I really enjoyed this post last week and it is one well worth checking out. With the Winter season rapidly coming to an end it is time to have your say in the reader’s poll (if you haven’t already). There’s six days left so make sure you have voted. Also, if you missed it, earlier today I had an announcement out about some travel so be sure to check that out. Otherwise, business as usual and we have some great posts from the community. I definitely urge you to check out the pick of the week. Xenodude gives us a fantastic list featuring their five favourite drunk scenes from anime. Of course a certain ice-skater doing a poll dance made the list but what else did. It is just a fun list to read with some great anime and characters on it, so if you want a smile this one is worth the read. BiblioNyan has a great write up of Netflix’s live action Erased as an intro to J-Drama. While I personally still find the live action version of Airi creepy, the rest of this drama I found pretty entertaining and I really enjoyed reading this write up about it from the point of view of someone who went and read the manga. Definitely one to read. Emi from Ramblings N’ Scribbles has a great post focusing on the wonderful character of Akane Tsunemori from Psycho Pass. It is a great post that looks at a range of Akane’s attributes as a character and celebrates what she achieves in her story as well as who she is. If you want something positive and fun to read, as well as want to spend more time with a great character, from the perspective of someone who was trying to play her as part of a fan dub project, then this is a great post to check out. Kawaii Paper Pandas shares their top ten abilities from Bungo Stray Dogs. There’s clearly a lot of enthusiasm here for the topic and you can feel the love while reading the list. Also, they’ve shared the promotional video for season three of Bungo Stray Dogs so if you missed seeing that here’s a chance to look at what is coming. While on that topic, Alexie shares their five favourite abilities in Bungo Stray Dogs, plus a couple of honourable mentions because the show just has too many cool abilities to be contained to just five. Whether you like the show or are interested in just seeing some cool character powers, this is a fun and spoiler free post to have a bit of a look at. Ktulu has a review of Re:Creators. I still haven’t had a chance to see it but I’ve enjoyed some of the takes different reviewers ave had on it. This one was fun to read as it looked at different aspects of the anime and then suggested ways it could have been improved. I’ll hopefully get to see this one eventually to see what I think of it, but in the meantime I’ll enjoy reading what others thought. Otaku Central covers one of my favourite anime, and clearly one they enjoyed, Noragami. If you want a look at whether or not Noragami is an anime to check out, this write up covers the main characters and themes and doesn’t contain plot spoilers. A Girl and Her Anime reviews an anime short called Sono Toki, Kanojo Wa. It sounds kind of interesting, particularly the art style, but I will admit I’d never heard of it prior to reading this review (or if I have heard of it I’d promptly forgotten). Still, it is an interesting write up that has made me intrigued and maybe I’ll find the time to go looking for this one at some point. Irina lists her five anime that she wants another season of (though Natsume Yuujinchou got its own mention because there’s always a need for more of that). There are some great picks on the list and realistically I’d love another season of every single one of them so I had great fun reading this list. Be sure to check it out if you missed it. This one is a bit of a late entry but really deserves to be the pick of the week. I like Crunchyroll. I do. Not the company because their customer service is terrible and they don’t communicate adequately when there are problems and that’s just the tip of the ice-berg of issues. But, they’ve made anime accessible in a way that no other streaming service has managed. Still, with the announcement they are upping their cost (not much but enough to make you wonder), it is probably time that they got called out on a few things and actually started trying to improve their service. Now, I’m unlikely to get into the nitty-gritty of it all but Floating Into Bliss has a great video/transcript that looks at three of the big issues that need to be addressed. It isn’t a hostile attack but more a look at the series of events and decisions that sit behind a lot of what has happened with Crunchyroll and it does point out a need for change. If you didn’t catch this video and you are a Crunchyroll subscriber, you should definitely go check it out. And for those who aren’t inclined to watch videos, the script is there for you to read instead. Enjoy. It has been another full on week in the real world though I was fortunately able to catch up a bit on anime and posting. There’s still a few shows I’m behind on and a couple of days when only two posts went out. I think I should be able to get the blog back up to full speed by the end of next week and back to consistent three posts a day, though we’ll see how the next week goes and whether I get thrown any more exciting twists and turns. 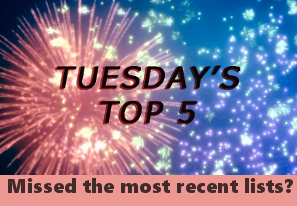 In the meantime, I have found some great posts from around the ani-blogging community to share this week with a lot of different topics covered. 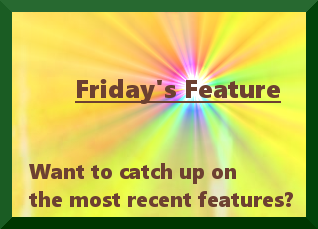 Be sure to check out some of the posts below if you missed them and as always, feel free to let me know if you come across a post you think deserves a shout out. Cactus Matt is back counting down top 10 OP’s of the season and this list is covers a nice range of some of the better openings from the season (with embedded videos if you don’t know them or just want to listen to some of the great songs). I love lists, I love great OP’s and this one was just a fun post to read so be sure to check it out and share your favourite OP’s in the comments. A Nerdy Perspective gives us a review of Skull-Face Bookseller Honda-San. This one had a few people chatting about it when it was airing and since has gone strangely quiet but if it was one you didn’t watch while it was airing it might be a good weekend entertainment for you. Check out the review and see what you think. Arthifis continues to look at each show that premiered this season and give an impression post based on three episodes (great for figuring out which anime you should go back and give a go if you are looking for something new to watch). This post covers The Magnificent Kotobuki which is a post I was waiting for because I’ve been curious about this one and hadn’t tried it myself. I’m not sure if I was convinced to give it a go or not, but I did enjoy seeing Arthifis’ initial impressions on it. Atelier Emily has a really great break down of episode 8 of The Promised Neverland and how visuals played into the narrative shift that was taking place. Heavy spoiler warning for those not up to that part of the anime and haven’t read the source, but it is a great post and one well worth reading to those who did watch the episode. Lita Kino has a fantastic post about Lacus and how her character really came into her own in Destiny. I quite enjoy Lacus as a character and I really enjoyed reading Lita’s perspective on her and why Lita liked her. A fun post to read for those who enjoyed Gundam Seed. Irina continues to produce consistently interesting content and this week I fell in love with her post on colour coding in ACCA where she looks at the main characters and what their hair colour tells us about them. Apparently a lot more than I was paying attention to. It is a really great post and well worth the read, particularly if you enjoyed ACCA or even if you just like learning a bit more about colours and their meanings. Yuri Reviews covers Scorching Ping Pong Girls. Now I haven’t seen the anime and it doesn’t sound like my kind of thing, but this was a nicely written review that seemed to cover some of the positives and issues with the series and generally provided a good overview without giving away too much. If you are interested in the anime it would be well worth reading. Reasons to Anime shares 5 Reasons To Skip Phi Brain. I was actually a little sad to read this because this anime had been on my watch list for a while and it was one I was secretly kind of waiting for a good moment to sit down and binge watch thinking I’d probably quite enjoy it. I still might, but given some of the reasons given here to skip it, I’m not holding out quite as much hope anymore. Otome Kitten has a great review of Code Realize: Wintertide Miracles. If you are curious about the game this is a nicely detailed review that is easy to read and has some great visuals to support it. I definitely recommend giving it a read if you’ve been thinking about this game. 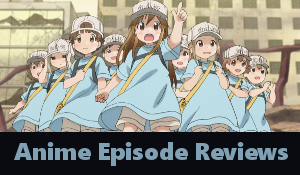 David from Another Anime Review covers episode 6-9 of My Roommate is a Cat. I’m really quite enjoying that anime and while it isn’t flawless by any means, it has been a fairly quiet and entertaining show this season and one that I’d love to see get a little more attention. Anyway, if you are curious as to how it is proceeding this is a great post to check out. Another week and you will have noticed that I did slow down the posting this week to two a day. Given the current in real life situation I’m going to continue on this slower schedule for at least another week as it is giving me some time to regroup. That said, I’ve continued to have a great time finding some really cool posts out there and as always if you would like me to give a shout out to a post send me a link via my contact or DM me on Twitter and I’ll check it out. Irina and Crow continue their coverage of The Promised Neverland with a discussion on Episode 7. It is a bit spoiler heavy if you haven’t watched the episode yet but for those watching the anime it is a fun post dissecting what we saw and speculating about where it might be going. Well worth reading for those watching the anime. But in case that’s not enough of The Promised Neverland (and what is really enough), Lynn Sheridan has a great write up on Episode 8. Again, spoiler warning, but episode 8 was fantastic and there are some pretty solid review posts coming out about it. Dominic over on Little Anime Blog has a review of Land of the Lustrous that is very nicely written. This one is light on spoilers and more describes the experience rather than specific events so if you are curious about whether Land of the Lustrous might be something you should watch this is a review for you to check out. Anime Motivation (a site I’ve somehow never found before but am glad I stumbled upon last week) had a great post giving us 11 Educational Anime or at least 11 anime that can give you a new perspective even if they don’t necessarily teach something specifically. It was a really fun list to read and I found a few other articles on the site I’m going to have to go and read at some point. Anyway, if you missed this post, be sure to go and check it out as it is definitely fun reading. Blogging Almost has an interesting discussion about the hook of Darker Than Black. This post does discuss the overall downturn of the series as season 2 gets underway but mostly it is about how the first episode draws you into the characters and the world. And by the way, if you haven’t watched Darker Than Black, you probably should. Wooderon shares some thoughts on That Time I Got Reincarnated as a Slime and how Rimuru essentially being in easy mode makes for a less than compelling narrative. While some people will disagree, this is something that has been bothering me about the show for a fair while as there never does seem to be any tension or concern in any scenario making the anime feel a little lacking, despite being reasonable fun. Anyway, if you aren’t violently opposed to the idea of criticism of Slime this is an interesting post. Xenodude has started covering School Live so if you’ve seen episode one and curious to see how someone who didn’t know what the twist was takes it, this post is a fun read. For those who’ve never seen it, unless you want to know the twist it is probably best to watch the episode first before checking out the post. I kind of have to thank Irina for this one as she highlighted the blog in her blog discovery post, but I came across this post by Dirk about escapism in No Game No Life and it was such a fun read. It looks at the first episode and premise of No Game No Life and how it connects with an audience who may in fact be looking for an escape themselves. Really enjoyable read and well worth checking out. Then because I was now following this blog, I had the pleasure of reading a comparison of the protagonists from One Punch Man and Mob Psycho 100 and while I haven’t finished even season one of Mob and One Punch Man was great for a once watch but I’m kind of done with it, I really enjoyed this post. It is nicely detailed, nicely written, and it is just interesting seeing how the author created characters who have superficial similarities but some fairly strong core differences. Irina has to have it this week with her post of Yoko Littner from Gurren Lagann. Now Yoko is an awesome character and Irina’s post here does a great job of capturing the reasons why, describing particularly a scene toward the end of Gurren that really just showcases everything amazing about Yoko. Of course, if you haven’t seen the anime, there are spoilers here, but for everyone who has seen the anime, this is a post well worth reading so be sure to hop on over if you missed it last week. And as much as I loved Irina’s post on Yoko, I do have to throw this one in as a pick of the week. The Nerdy Girl News shares some valuable tips on how to gain followers and get traffic for your anime blog. Be sure to read it as it is well worth the time and really helpful in explaining what they have done and how it has worked. Some of you would have already caught the news of twitter but for a week or so I’m scaling back my posting to two posts a day because life got hectic on me. Actually, it has been hectic for a couple of weeks but I was managing but I’m at the point where something has got to give or I’m going to break a little bit, so taking that one post away each day will help lighten the blog load a little and allow me to get some other things in order. I’m definitely not going on break or hiatus, just a temporary slow down of posts. In the meantime, I’m not certain what that means for my reading of other posts. So far, I know I haven’t been commenting as much, more just reading and liking posts and moving on because I’m a little time poor at the moment. Hopefully I can continue to visit everyone and read their work because I really enjoy it and hopefully I can get back to being able to comment on posts and discuss anime with people. Thanks to everyone who sent me kind words and thoughts on Twitter. I appreciate it and hopefully things will be back to normal very soon. Below are some cool posts I came across last week. As always, if there is a post you would like to give a shout out to, send me a link via my contact page or DM on Twitter and I’ll check it out. Standing On My Neck has a mini-essay on the Crunchyroll awards winners. As I kind of tuned out of the awards this year after seeing the nominations and only finding one or two in any category that I even vaguely wanted to vote for, I was a little curious as to what ended up winning. I probably shouldn’t have been, but I did enjoy reading this post that looks at the nominations, what one and what Mr Flawfinder would have picked instead. Black and Yellow Otaku Gamers has a mid-season review of The Promised Neverland (yes, everyone is writing about it). This one is a quick impression of the anime so far and is great though there is a fair amount of comparison to the manga (still no future spoilers if you are only watching the anime). Well worth the read if you are curious about The Promised Neverland. Red Wolf Artist shares some more news on Japan’s attempts at modifying their copyright laws. Much like the EU’s current situation, this is one I’ve been paying fairly close attention to as the implications in terms of a future as an ani-blogger could either be huge or non-existent depending on just what the final version of the laws are that get passed and how they choose to interpret and enforce them. Blubbyweb has a comparison of Poco’s Udon World and Barakamon looking at the superficial similarities in the settings and characters of the show, but the deep differences that lead to quite a different viewing experience. Having watched both of the anime, and quite enjoyed them even though neither is really within my preferred type of story, I quite enjoyed seeing them contrasted as it high lights what makes each anime a valuable and entertaining watch. Definitely worth checking out. Ahneemeh has a fun post where they look at ten character pairs you won’t believe have the same voice actor. There’s quite the wide ranging list of characters and voice actors on this list and some of the pairs really do make you sit back and think if they sound anything alike. Still, there’s some well known voices on this list and it is always good to see the voice actors getting recognised for bringing some of our favourite characters to life. Nefarious Reviews has a great write up of Paranoia Agent. Clearly they are a fan of the director and that definitely shows in how they have viewed the anime, but it means this review highlights a lot of the positives that a fairly weird and overlooked anime bring to the table. If you’ve never tried Paranoia Agent, this one is a spoiler free review that might get you interested. And I am impressed that they managed to review it spoiler free. It is a hard anime to write about without giving things away. I decided this week to make a greater effort to include episodic content as even though I read and comment on plenty of episode reviews I’ve gone back through my round ups and realise I rarely link to them. As always if there is a post you think deserves some attention please flick me the link via my contact or DM me on Twitter. Incidentally, this week I asked twitter who was cuter this season: Fuzzy from The Morose Mononokean or Haru from My Roommate is a Cat. Tragically, Fuzzy kind of got slaughtered in the individual votes but a lot of people did choose both so there’s clearly some love for him out there. The Anime Alcove has a great write up of episode 5 of Magical Girl Spec-Ops Asuka that is as fun to read as the episode was to watch. It covers the main plot points with a bit of opinion about how they sat within the story and just as entertainment and it is nice and quick to read but gets the job done. Well worth checking out if you are following the show or even if you are curious about it (though a few plot spoilers if you haven’t seen it). Nerdgeist shares their top ten cosplays by Spiral Cats and honestly some of these costumes and photos are incredibly impressive. Loved scrolling through this post and seeing some of the great work they’ve done. I’m not massively into the cosplay scene but I do appreciate the effort some people put into this and these were amazing. Kapodaco shares their list of ten trivial anime pet peeves. It is a fantastic list of tropes and recurring events in anime that really are both pointless and annoying and I think most anime fans will find a few things on this list that have them nodding along. And after reading this list I’ve seen about half of them within the next couple of days. If you can’t find your trivial anime pet peeve here why not add it to the comments. Irina does an amazing job with her February OWLS post focusing on one specific episode of Natsume Yuujinchou and two characters who are well worth discussing. For anyone who has watched Natsume this post is a must read. If you haven’t watched Natsume (why not), this post may show you why this series is an absolute must watch – though you know it discusses two characters from season six. Xenodude covers Domestic Girlfriend Episode 5 and like me remains pleasantly surprised by the series (the beauty of low expectations). This is a nice write up of the events and some speculation about where this may go and it is just fun to read so if you are following Domestic Girlfriend be sure to check it out. MIB has a review of Vatican Miracle Examiner which is a title I haven’t thought about or heard about since it finished airing so this review kind of caught me by surprise. If you didn’t catch the series while it was airing this review will help you decide if this one is worth going back and checking out or whether you are better off just letting it go. Either way, a great read. Hall of Elliot is looking back at Girls’ Last Tour with the English dub now coming out and this is an anime that made a splash when it first aired but doesn’t get a lot of discussion (and really should). If you happened to miss Girls’ Last Tour when it came out, check out this post and then maybe go check out the anime. It is great. (No spoilers in the post as it focuses on episode 1). 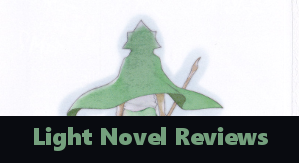 Atelier Emily discusses the dystopian setting within The Promised Neverland and looks closely at how Isabella in particular has been framed through the use of shot types. It’s a fun discussion post of The Promised Neverland that doesn’t reveal anything more beyond what the anime has shown so far so you don’t need to be wary of manga spoilers. Well worth reading if you are following the anime. Feature: What Does It Really Mean To Me To Love Anime? Who Is Your Anime Valentine?